Los Alamos Daily Photo: Making Room for the NEW LAHS!! 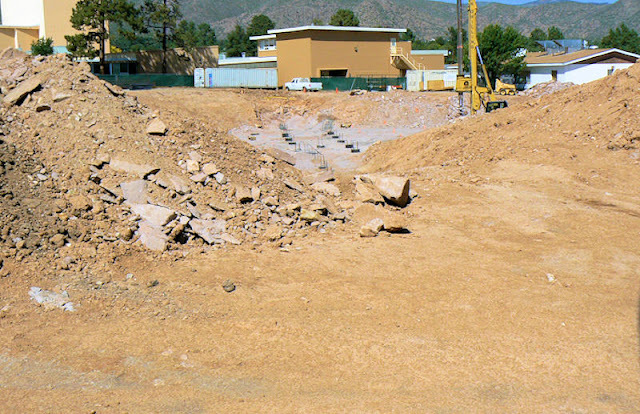 1/2 of A wing and all of B, C, & D are gone to make room for new LAHS addition. Lawns and parking areas scattered with portables for the next couple of years. Above, what's left of A wing is in upper right with E wing in the background. 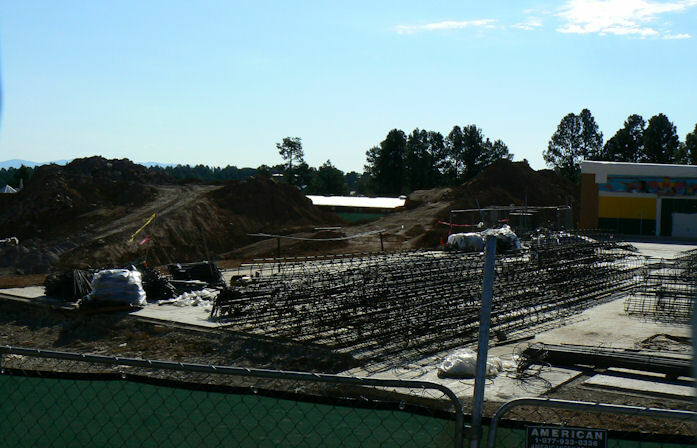 Below, the picture of new foundations (about where C wing use to be) for a new three story LAHS to open Jan 2012.